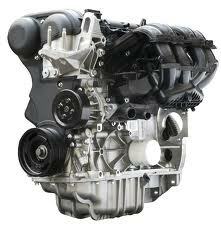 Ford Ranger engines have received a new two-year warranty at the EnginesforSale.org website. This protection is now offered for these preowned motors when sold to the public or to companies that perform engine installations on behalf of pickup truck owners. The preowned units that are now in stock and warranted for two years include 1990 and above editions to provide nearly 25 years of engine selections. Ford Ranger is one of the most popular compact pickup trucks produced in the past 30 years. This truck has outlasted its rival the Chevy S10 and it remains a part of the Ford Motor Company family. The EnginesforSale.org company is now selling Ford Ranger engines with a new two-year warranty designed to protect these units from internal breakdown or unforeseen parts failures. More details can be located on the Internet at http://enginesforsale.org/ford/ford-ranger-4-0l-ohc-engines. This 24 month protection is immediately applicable to all sales completed by toll-free telephone number or on the company website. The Ranger was first introduced to the public in 1983. Several motors were used in the early development of this pickup truck and this development has continued into this century. Four-cylinder and six-cylinder motors have been installed inside of the Ranger to provide different power levels and torque for owners of these vehicles. The preowned units that are now in stock and warranted for two years include 1990 and above editions to provide nearly 25 years of engine selections for the public. The new rewritten warranty coverage is one way that this company is using to supply a higher value to all buyers. The buying staff that is responsible for purchasing the inventory sold to the public now ensures upon arrival that all units purchased receive proper evaluations and categorization before these units are placed into the company warehouse. These extra measures are typically left out of many retail company processes. These in-depth evaluations and reviews on the inventory that is acquired is helping to assure better quality for all customers who purchase preowned motors for replacement in pickup trucks. The Ford Motor Company inventory now carried includes the F150 and other F series motors for direct sale to truck owners. Recent acquisitions have made it possible to provide V8 motors in Essex, Triton and other builds. The build up of this preowned inventory is helping to create a larger resource on the Internet for used truck owners and installation companies searching for quality units with low mileage for replacement. The news report announcing the F150 acquisitions can be read on the Internet at http://www.prweb.com/releases/engines-for-sale/ford-f150-engine/prweb10194546.htm. About Engines for Sale Co. The Engines for Sale Co. warehouses Ford, Chevy, Dodge, GMC, Jeep, Honda, Toyota and other engine types that are sold on the secondary market to customers. Contracts with top suppliers have made it possible for this company to provide engines produced within the past 30 years for sale. By pairing low mileage engines with low prices, this company is providing more long-term value in its inventory compared with standard preowned engine sellers. The Engines for Sale Co. supplies full warranty coverage for all units sold through the company toll-free telephone number or company website.